Nothing beats the mouthwatering flavor of home-grown strawberries. 'Allstar' is a late-midseason variety. It is extremely vigorous and easy to grow. 'Allstar' is a very productive, high quality variety that yields great numbers of large, firm, attractive fruit that has good flavor, color, and dessert quality. It is resistant to leaf scorch, powdery mildew, and five races of red stele. Considered to be an improved 'Surecrop'. Plant strawberries in early spring. Water them often through July. Do not plant them where tomatoes, peppers, potatoes, eggplant, or okra were planted the previous year. There is a disease that sometimes attacks these plants that will also attack strawberries. When planting, make sure that the roots are spread apart, and not tightly packed in a small hole. The plant will spread faster if the blossoms are removed so that more runners can be produced. The second year, allow the buds to stay so that fruit can be produced. 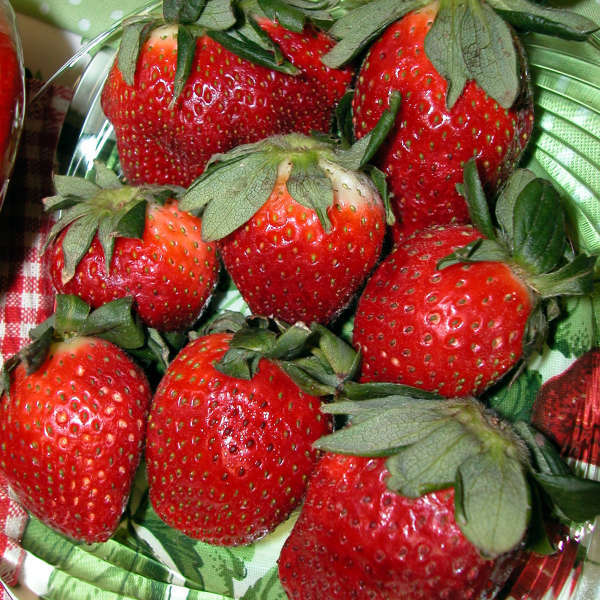 Because strawberries have shallow roots, they should be fertilized during the growing season.